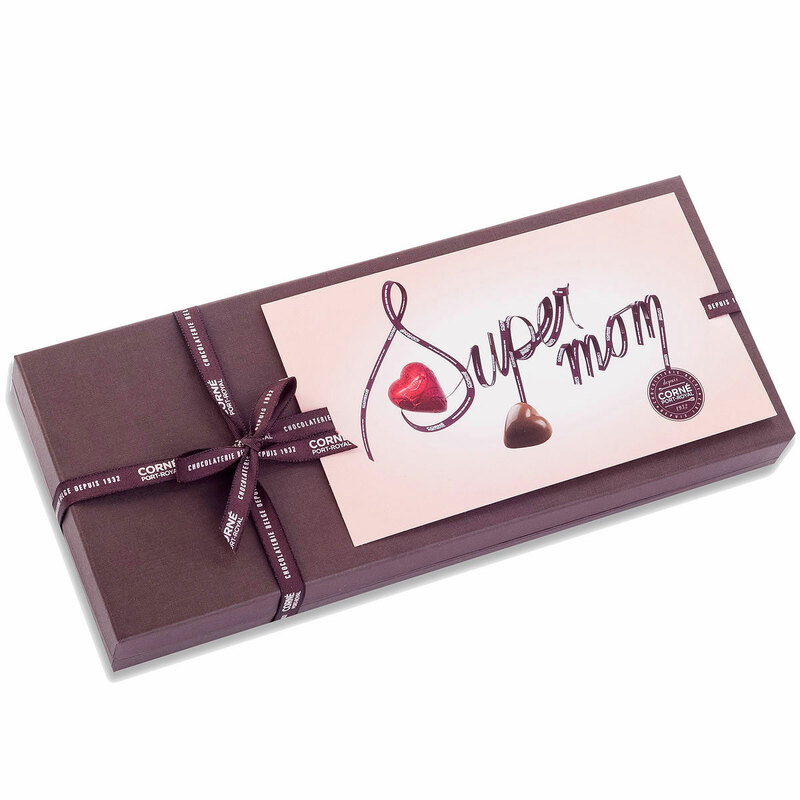 Is your mom a real Super Mom? Then she definitely deserves a nice treat on Mother's Day. 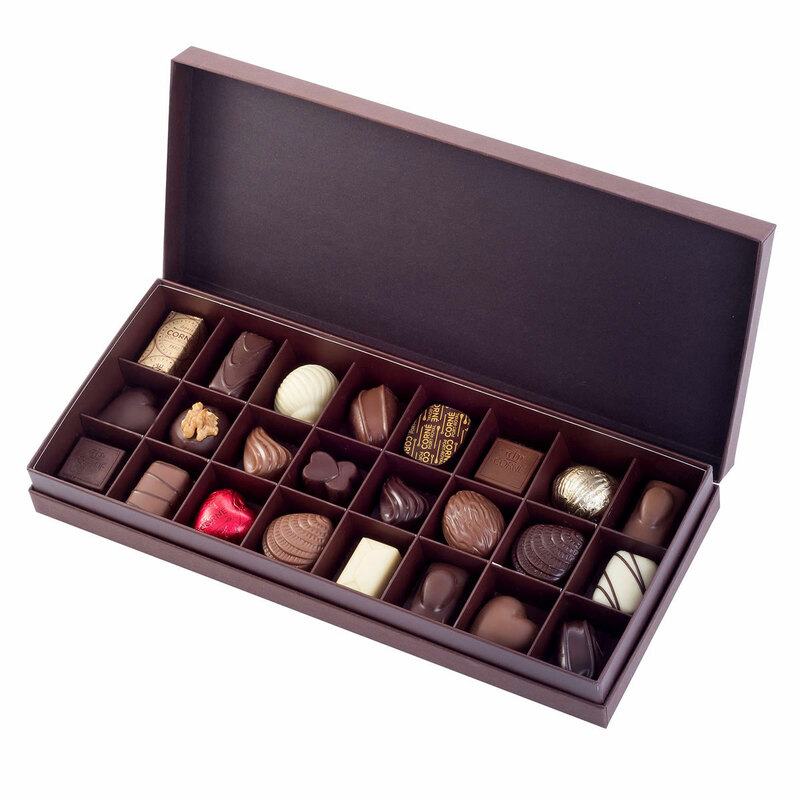 Indulge her with the delightful Corné Port-Royal chocolates. 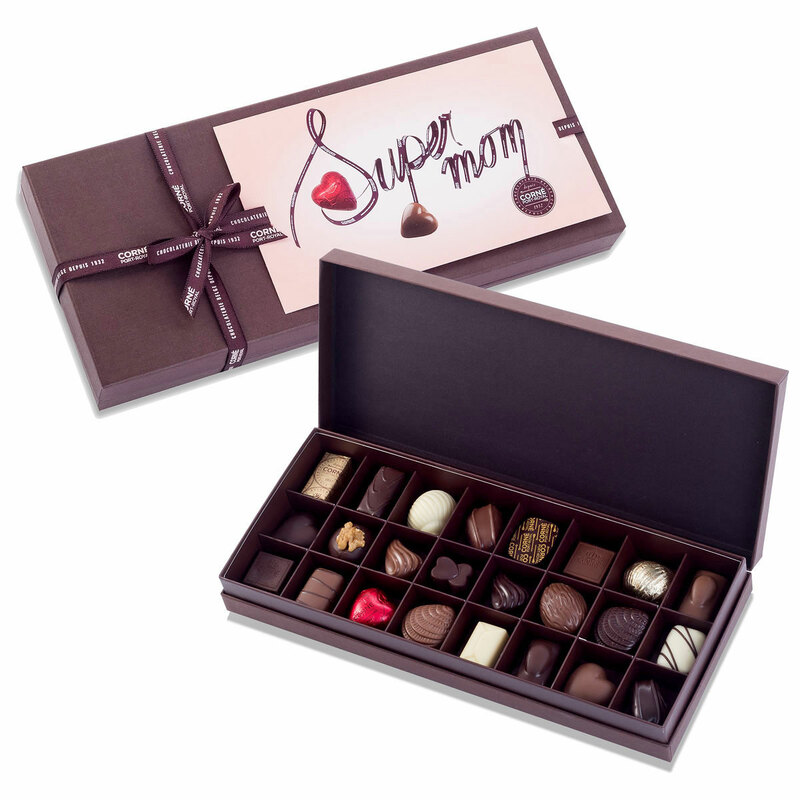 This stylish gift box offers a mouthwatering assortment of 24 white, dark and milk chocolates. The gift box is beautifully presented with a nice gift card to let her know that she's the Number 1 Super Mom to you!